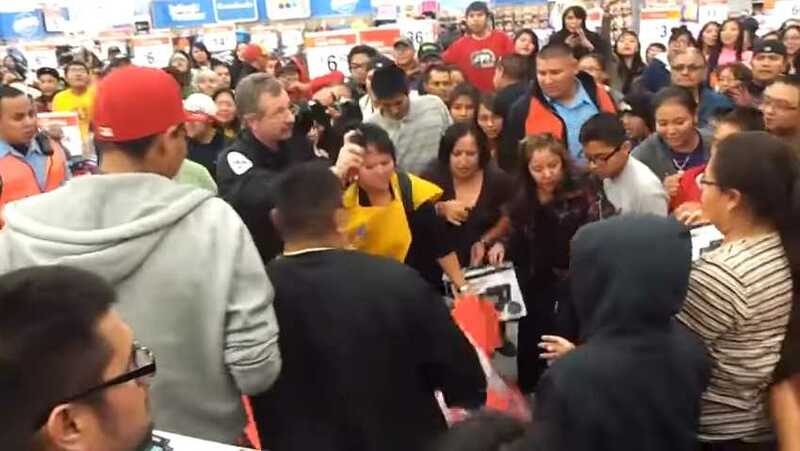 (Newsweek) — Black Friday is often a day of shopping mayhem, and this year was no different. On Thursday night, a violent incident occurred in an Alabama mall, resulting in minor injuries, and a shopper accidentally threw a shoe at a baby, USA Today reported. The incident occurred early on Thanksgiving night when several fights broke out at the Riverside Galleria in Birmingham, Alabama. AL.com reported early Friday morning that at least one fight was spotted by officials after 11 p.m., on the second floor of the mall. One victim was treated for minor injuries by Hoover Fire paramedics. No one, however, was taken to the hospital. According to officers, the fights were personal rather than sale-related. Steffany Means, a local Fox news producer, said in a Facebook post that a witness told her a shoe was thrown over a railing and ended up hitting a baby.